October starts the season where most Americans make the pilgrimage to their storage units to get Halloween, Thanksgiving and – ultimately – Christmas decorations. It’s hard to imagine that any American household does not have at least one storage unit today. And that familiarity with our product makes storage an easy business model to own and operate. We all understand it fully, as do our lenders and customers. Unlike a technology business that takes an hour to even explain, the self-storage industry is based on upon one of the most basic of all needs. There’s no moving parts (except the roll up door) and nothing to fix except the doors and the light-bulbs. Marketing is as simple as a sign in front, presence on the internet, and perhaps a direct mail piece or two. Every time we see lavish seasonal decorations, we think about how solid our industry has become as a mainstream part of the American lifestyle. And when we see people buy presents during the holidays we can’t help but wonder how many of those are going to end up in a storage unit. The holidays are important for retailers (up to 50% of their annual sales) but equally important as a driver to storage demand and occupancy. Is Self-Storage The Savior To The Mall Crisis? It is estimated that 20% of shopping malls will close over the next five years. The disastrous drop in retail sales in the U.S. is well-known, but the proposed use of the millions of square feet of vacant space is highly unusual. The top two proposed uses for abandoned malls and anchor stores are 1) virtual reality playgrounds where players wearing virtual reality goggles can run in a all directions and 2) self-storage units. While we know nothing about VR, we are more interested in the storage component. Would that really work? Malls universally share great locations at the crossroads of major highways and retail areas. Since most were built in the 1970s and 1980s they are often in dense urban centers that the cities have grown around. So the locations of malls would work well for self-storage, as they are highly populated, have great highway access, and are extremely visible. Another feature of most American malls is above-average security. They typically have personnel that patrol the parking lot as well as security guards and police inside. Most people think of malls as having good safety, and that gives them a positive first impression about storing their items there. In addition, a storage facility inside of an abandoned anchor store – like a Sears – would allow the owner to piggy-back off that existing security. With the glut of vacant mall space, vacant anchors, and total lack of investor demand, the price of most of these malls that are in financial trouble is far lower than construction cost. Since the conversion of an abandoned space into self-storage units would be expensive, it’s vital that you pay low prices for the shell. And it’s very possible that low prices for these properties are possible. 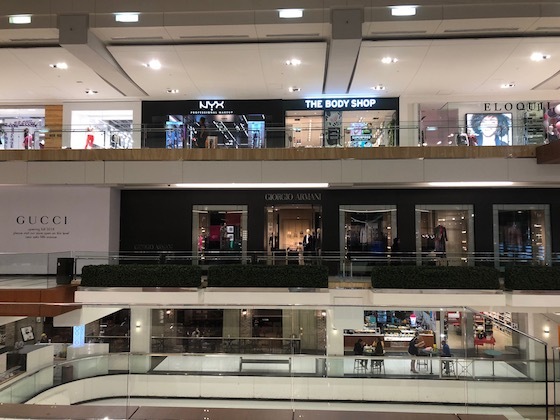 The other option may possible to do long-term leases for the vacant space, and in that case it’s also possible that the mall owner might build the finish out as part of the lease. In many markets, a big concern is over-construction. An over-built market results in lower rents and occupancy. Malls are easy to spot and their vacancy is on complete public display. If you are looking at buying a storage facility, you should make mental note of any possible malls that might bring storage on-line in the future. Additionally, you should pay attention to the possibility of mall space in your market that might be open and suitable for storage conversion. Will storage be the savior to massive mall vacancy in some markets? It’s possible. This might be an opportunity for some investors and a problem for others. Like Rodney Dangerfield, golf carts get “no respect”. That’s sad because they are a key tool to many enterprises. Golf courses could not exist without them, and the same could be said about many self-storage facilities. The golf cart is a very valuable component to a successful storage property. There’s a lot of territory to cover in most storage facilities. When showing units on single-story properties, the golf cart is a great way to say “jump in and let me show you what we have” and that typically leads to getting a lease signed. Customers enjoy the ride, as well, as it’s just plain fun. We also think that a golf cart gives the customer confidence that it’s a prosperous place to store their stuff. Nothing gets your manager out and about and looking after your interests better than a golf cart. Walking is a chore and it’s always either too hot or too cold. Driving their personal car also never works, as it’s too hot or too cold to jump in, and it has too wide a turn radius. If you want to make sure that your manager is all over the property at all times, provide them with a golf cart. Golf carts travel about 20 mph. Humans walk about 2 mph. That 10 for 1 difference allows your manager to save a whole bunch of time in doing their duties. You will notice an almost immediate improvement in productivity when a golf cart is introduced into the equation. In many cases, it’s like doubling your effective time. 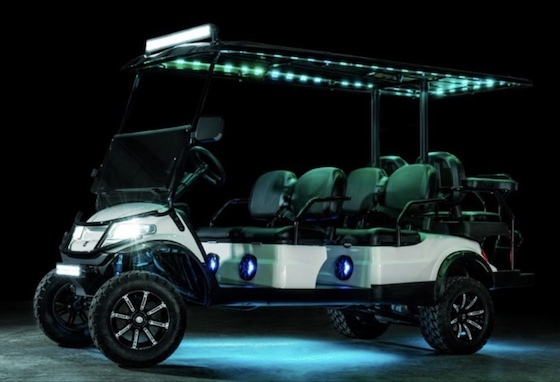 Another great attribute of golf carts is that they are inexpensive to buy (on the used market as low as $1,000) and have very low operating cost. An electric golf cart (which we prefer) can go years without service as long as you keep water in the batteries. And when they ultimately die, you’re looking at around $600 to replace the batteries. It’s got to be the lowest cost per mile of any four-wheel vehicle on earth. Golf carts are inexpensive and a highly efficient addition to any storage facility. When you add up the time savings, greater control of the property and better sales, there’s no way you can argue against buying one. What Are The Top 10 Markets For Google Searches For “Storage” And What Are The Lessons Learned? You can learn a lot from the internet. Some interesting conclusions are possible from studying what Americans search on Google. And a recent study found that there are some markets that have an extraordinary amount of searches for “self-storage”, which would suggest that they have above-market demand. So what do these various markets have in common, and how would that impact market demand? Here are our observations. They all have high percentages of rental homes vs. owned homes. The observation here is that markets that have lower percentages of home ownership have higher demand for storage because their rental housing is more unstable or smaller and has less storage. You can find the percentage of home ownership vs. rental at the website www.Bestplaces.net. They are all in areas that do not include basements. In the Midwest and northern states, most homes feature basements. This “third story” allows for a massive amount of storage which, unlike an attic (which they also have) is effectively climate controlled and free of dangers like humidity. Many are college towns. While not all of these markets are effectively “college towns”, Lubbock, Columbia and Fort Collins sure are, and all of the others do have colleges in them. It’s well known that college towns have higher storage use because students put their things in storage during summers. Demand is great for any business. 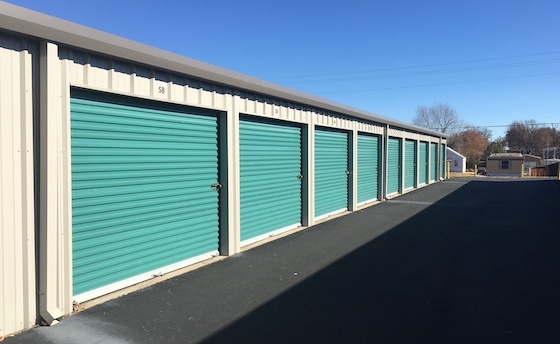 While you might not be looking for a storage facility in these ten markets, some of the lessons learned from them might be helpful in analyzing the markets you are looking in. 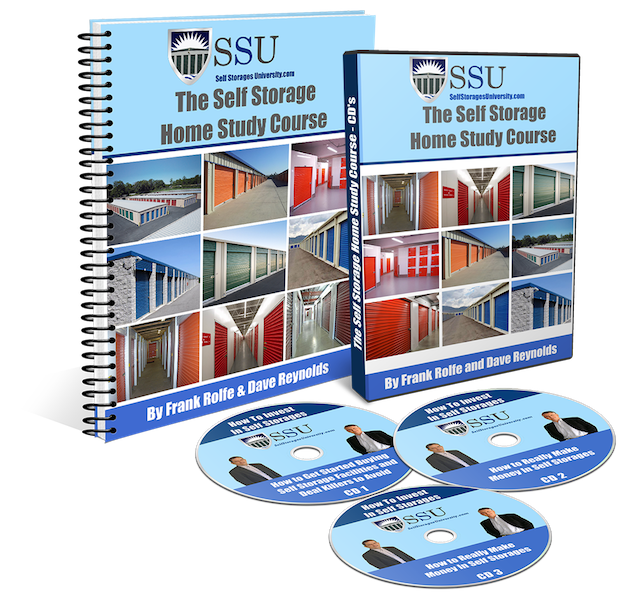 One of the techniques used to find self-storage facilities for sale is to call up the owner on the telephone and make the inquiry. 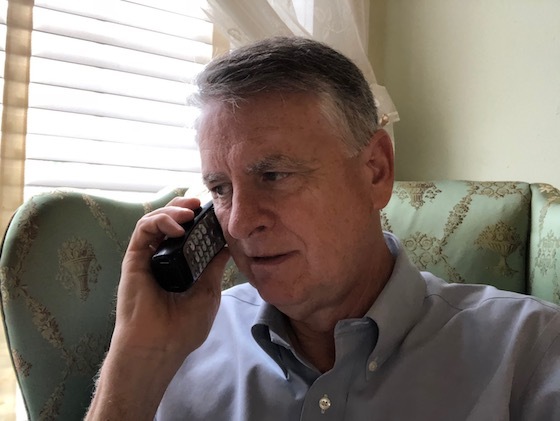 This is called “cold-calling” but that name is not really fair, as it implies that you are some type of “pest” in calling them, rather than the fact that you’re trying to give them money. So what are some of our best tips on making these calls? Any property you want to call on must start with the street address. Once you have the street address (which is quickly available on-line) you then take it to the tax assessor’s website (or call them) and get the owner’s name and address. From there you take the owner’s name and address and find the phone number via websites like Whitepages.com. It’s worth all this effort because if you call the phone number for the storage facility on Google the person answering is the manager, and they have no authority to sell anything. Don’t start off the call with goofy pleasantries. That will only concern the owner that you are a telemarketer trying to sell him something. Instead, go straight to the point. Say “I’m interested in buying your storage facility at 100 Washington Street – would you be interested in selling it?” This gets the initial awkwardness over quickly – just like jumping in a pool. And it puts the owner more at east because now there’s no mystery as to why you are calling them. It’s basic negotiation 101 that you always have the seller name the price. Not that they will always do it, but if you let them name it you might get lucky. If they refuse to throw out a number ask them “what does the tax appraisal district say it’s worth” because they normally are way under current values. This sounds odd, but one critical part of the call is to establish the timetable of next point of contact. Before you end the call you say “so can I call you next week to follow up – maybe Wednesday?” When you then call on Wednesday you say “remember you told me to call you back today” and that makes everything fine. If you don’t have them agree to the next call, you come off as a pest. Cold-calling is a journey. You call the owner and see if they want to sell. They then talk to their son, daughter, attorney, accountant – everyone possible – to come up with a price. This takes time. You may be calling that owner every week for three months before you get your answer. But what’s important is that you never give up. The price may be hiding around the next call. Cold-calling is a great way to find a self-storage facility to buy. These tips will get you headed in the right direction.